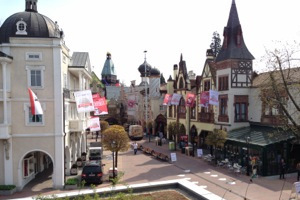 The Europa-Park in Southern Germany is quite an unusual location, yet it’s the traditional venue for the WorldHostingDays, celebrating their 10th anniversary this year. More than 5.000 international IT and Hosting experts from all over the globe made the long trip to attend this world renowned conference for web hosting companies. One of the many highlights of WHD2014, was a live panel discussion with Julian Assange, who was able to attend via live satellite link from his temporary home at the Embassy of Ecuador in London, UK. Together with a team of wonderful colleagues, among them Claudia van Veen, Pietro Polidori, Ike Fast and Georg Holzach, I had the pleasure of being the moderator for the Hosting Sessions as well as interviewing partners and exhibitors at the event.